Cambridge Terrace is a row of consecutive terraced mansions overlooking Regent's Park, London. The terrace was designed by John Nash, and completed in 1825. Half of Cambridge Terrace has been acquired and refurbished as a single dwelling – the largest residence in London after Buckingham Palace. Buckingham Palace was also designed by John Nash. 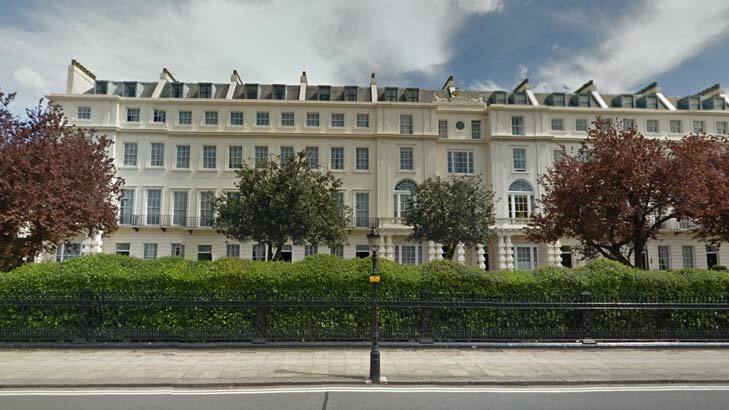 Interseasonal Heat Transfer has been chosen by Bouygues, the main contractor, for this Grade 1 listed Nash terrace to provide renewable heating and renewable cooling. The terrace is cooled in summer by transferring surplus heat down to a Thermalbank in the ground. When heat is required in winter, heat is recycled back to the building from the ThermalBank to maintain a comfortable temperature in the building all year round. Cambridge Terrace is a short walk from Marylebone Road in central London where some of the highest levels of air pollution are recorded in England – three times higher than EU legal safety limit for nitrogen dioxide. 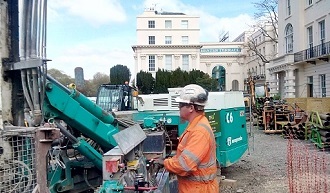 The heating and cooling installation at Cambridge Terrace will emit no gases into the atmosphere and will play its part in improving the Air Quality in London. The development had a planning constraint on noise from fans: this was answered by using ground source energy and ground source heat pumps to provide heating and cooling from a balanced system that doesn't require heat exchange with the air. Interseasonal Heat Transfer integrates ground source heat pumps and seasonal thermal energy storage with a sophisticated energy management system. This results in a totally automated system that balances the temperature in the building with the stable temperature natural to the ground by transferring heat from the ground in winter and storing surplus heat in the ground in summer.